It’s true, I have a hard time throwing anything away, which sometimes makes me very happy. 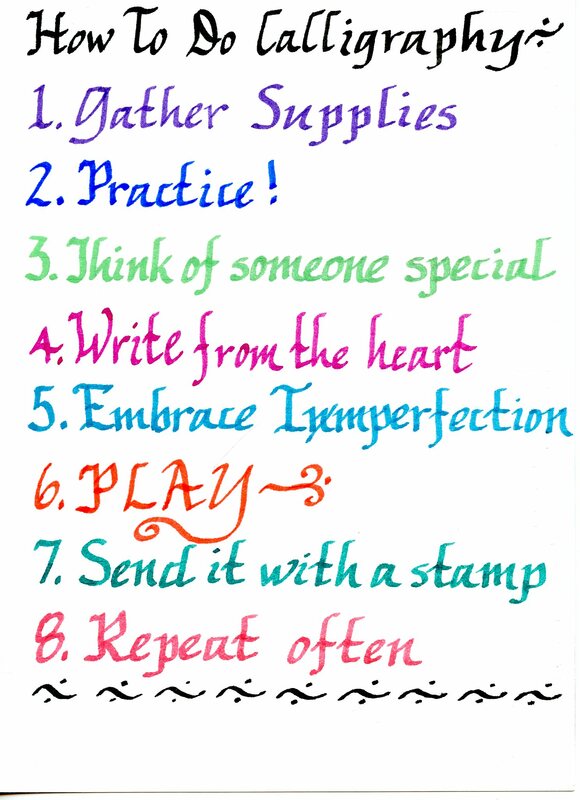 For instance, when I decide that I want to dabble with calligraphy after about, oh say, 25 years! Needless to say, I was ecstatic to find a folder with all of the old handouts given to me by the elementary teacher who taught me calligraphy in the sixth grade. I’m one-hundred percent sure that she ran these pages off on one of those machines that she had to crank the handle! 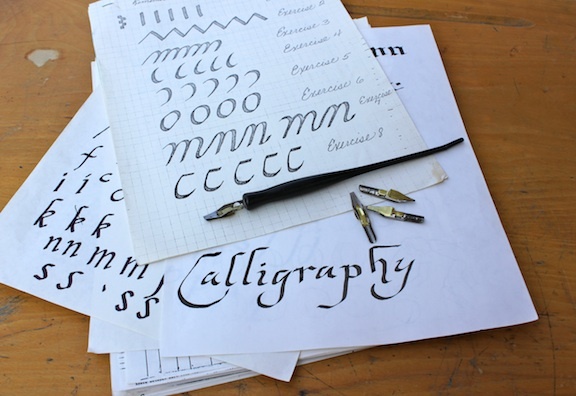 I shared some of my thoughts about learning to write calligraphy with Janine Vangool at Uppercase Magazine, and she featured my short essay in her online newsletter here. I also found some of my calligraphy practice sheets. 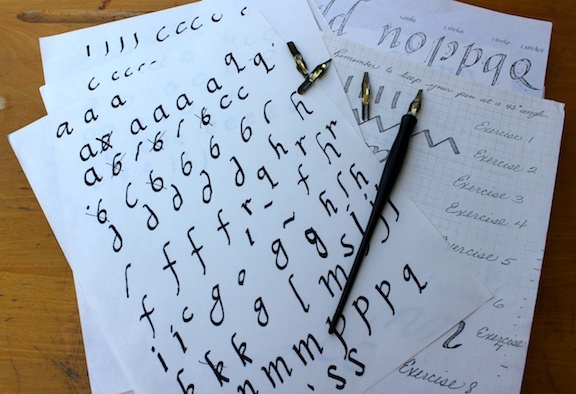 I can still remember sitting at my old wooden desk – the one with the sloped top and a groove to hold my pencil – and making these letters over and over. There was always a black ink stain on my middle finger for the rest of the day. I was truly inspired, so I treated myself to some fun new ink colors, but I remained faithful to my old pen and nibs. Over the years, I have enjoyed using my calligraphy skills for certain projects, but I’ve been using the marker-style pens that make things so much quicker and easier. However, when I decided to go “old school,” I was amazed at how quickly the movements came back to me after all of these years. This is what I came up with….